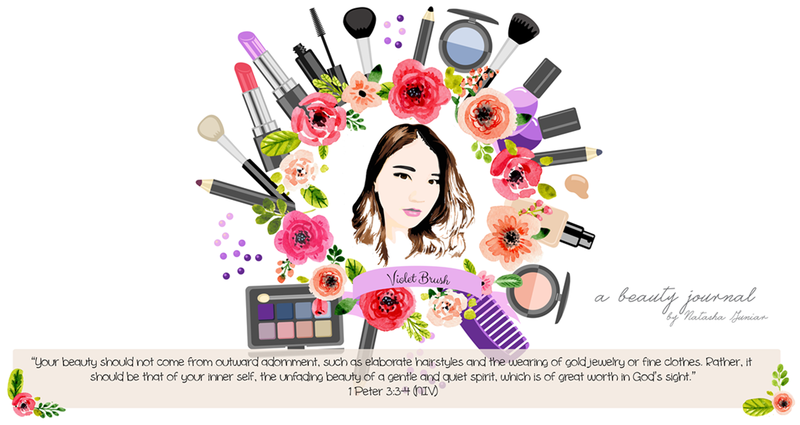 Korean cosmetic brands are not Korean brands if they don't include BB creams on its product line-up since BB creams are the first phenomenal cosmetic product from Korea. 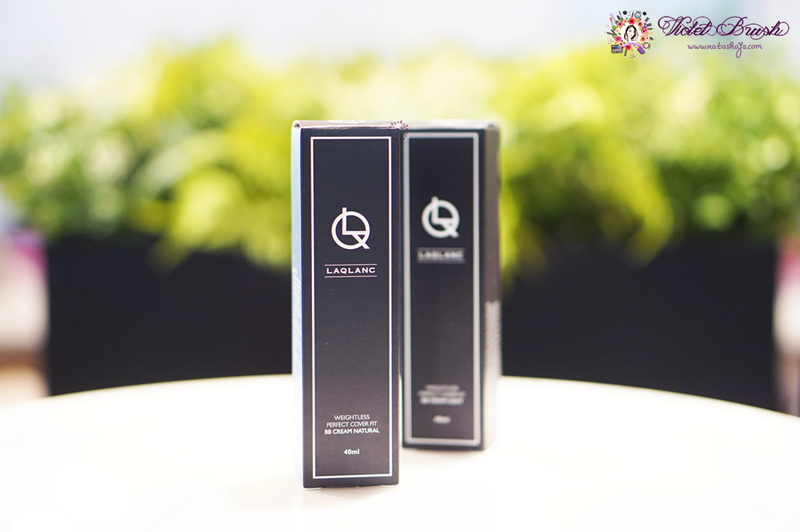 Given, LAQLANC also release BB cream with its launching. 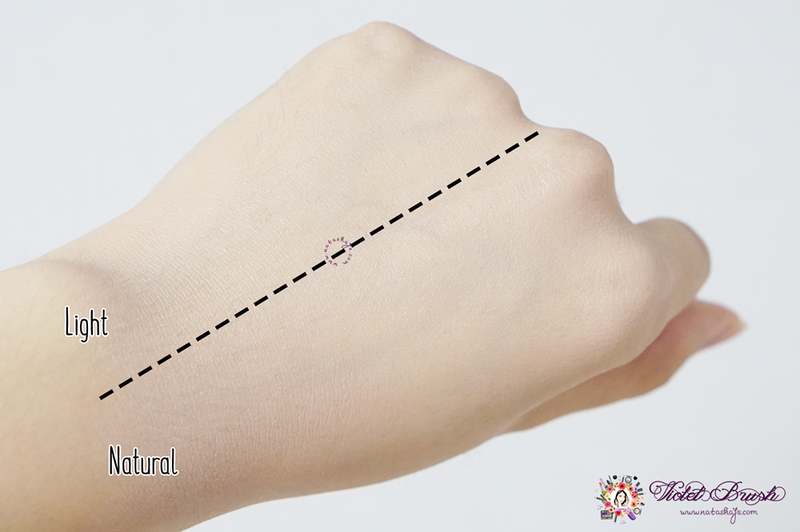 How does this BB cream from LAQLANC differs from other brand's BB cream? Read more below! Bright and clear skin all day long without darkening. Smooth coverage for moist and porcelain-like skin. Air-like lightweight adhesion makes you feel like wearing nothing on your skin. LAQLANC's Weightless Perfect Cover Fit BB Cream is packed in a travel-friendly tube packaging with tiny opening, which means, no worries on squeezing out too much product. The opening is also sealed upon purchase that guarantee its hygiene. LAQLANC's Weightless Perfect Cover Fit BB Cream comes in two shades, light and natural, which in my opinion, doesn't differ that much. Both shades are pretty light, typical Korean BB creams. While most of Korean BB creams has grayish shade, LAQLANC's Weightless Perfect Cover Fit BB Cream has a more natural skin-like shade. However, for me who usually uses natural shade for BB creams, the light shade fit my skin tone pretty well. 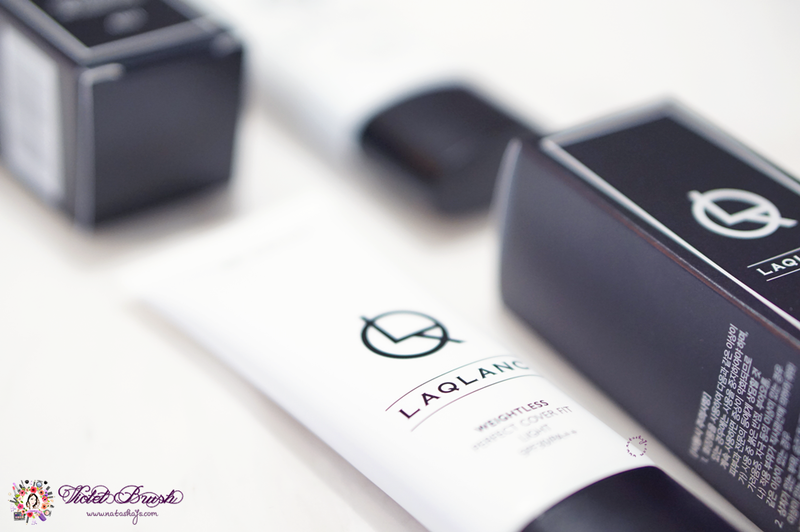 Applied onto the skin, LAQLANC's Weightless Perfect Cover Fit BB Cream is pretty lightweight, just like its name. 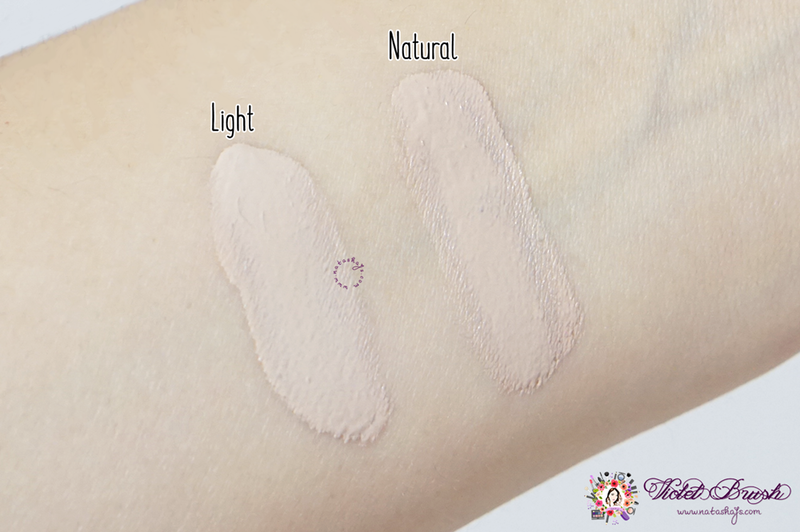 It blends pretty easily and after blended, I can almost see no difference on both shades. The coverage, when used with LAQLANC's Zzon Zzon Molkang Puff, is quite decent. Covers up my uneven skin tone and slight redness pretty well. However, it's a quite different story when I used my other blender sponge from another brand, the coverage was just so-so. 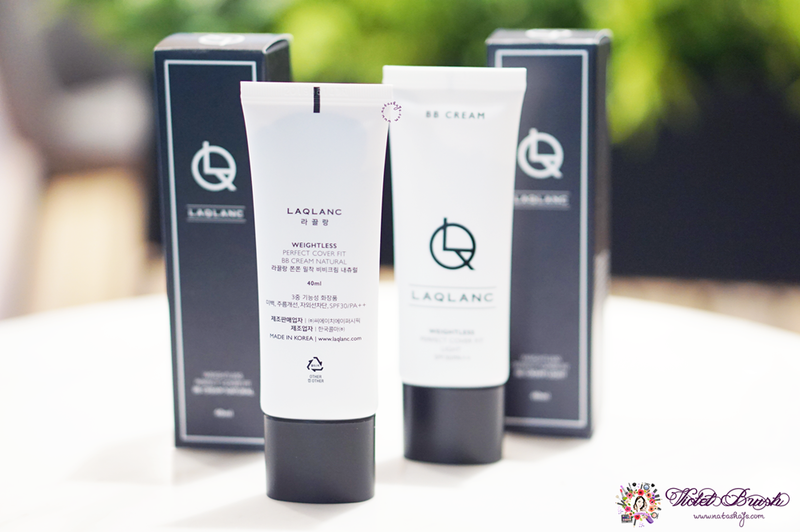 LAQLANC's Weightless Perfect Cover Fit BB Cream finishes off semi-matte and could last up to 6 hours without getting cakey. But if you have oily skin, you might want to set this BB cream with a layer of powder. Although I love the cushions better. Join my giveaway here to win this BB cream!